Something tells me it’s all happening in Kentucky. I do believe it. I do believe it’s true. IN WHICH THE READER IS INTRODUCED TO A MAN OF HUMANITY. variety of colors, attached to it,—which, in the ardor of conversation, he was in the habit of flourishing and jingling with evident satisfaction. His conversation was in free and easy defiance of Murray’s Grammar, and was garnished at convenient intervals with various profane expressions, which not even the desire to be graphic in our account shall induce us to transcribe. “That is the way I should arrange the matter,” said Mr. Shelby. “I can’t make trade that way—I positively can’t, Mr. Shelby,” said the other, holding up a glass of wine between his eye and the light. “You mean honest, as niggers go,” said Haley, helping himself to a glass of brandy. “Well, I’ve got just as much conscience as any man in business can afford to keep,—just a little, you know, to swear by, as ’twere,” said the trader, jocularly; “and, then, I’m ready to do anything in reason to ‘blige friends; but this yer, you see, is a leetle too hard on a fellow—a leetle too hard.” The trader sighed contemplatively, and poured out some more brandy. something in his appearance remarkably beautiful and engaging. His black hair, fine as floss silk, hung in glossy curls about his round, dimpled face, while a pair of large dark eyes, full of fire and softness, looked out from beneath the rich, long lashes, as he peered curiously into the apartment. A gay robe of scarlet and yellow plaid, carefully made and neatly fitted, set off to advantage the dark and rich style of his beauty; and a certain comic air of assurance, blended with bashfulness, showed that he had been not unused to being petted and noticed by his master. waste, sir, of a thousand dollars, just for want of management,—there’s where ‘t is. 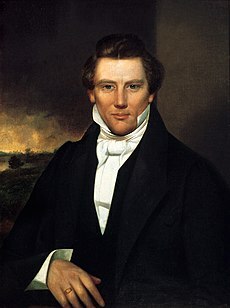 It’s always best to do the humane thing, sir; that’s been my experience.” And the trader leaned back in his chair, and folded his arm, with an air of virtuous decision, apparently considering himself a second Wilberforce. “Now, I’ve been laughed at for my notions, sir, and I’ve been talked to. They an’t pop’lar, and they an’t common; but I stuck to ’em, sir; I’ve stuck to ’em, and realized well on ’em; yes, sir, they have paid their passage, I may say,” and the trader laughed at his joke. know, as soon as possible, what I may depend on,” said he, rising and putting on his overcoat. that; but over and above the scene there broods a portentous shadow—the shadow of law. So long as the law considers all these human beings, with beating hearts and living affections, only as so many things belonging to a master,—so long as the failure, or misfortune, or imprudence, or death of the kindest owner, may cause them any day to exchange a life of kind protection and indulgence for one of hopeless misery and toil,—so long it is impossible to make anything beautiful or desirable in the best regulated administration of slavery. Born in Birmingham, Alabama, Shelby received his law degree from the Birmingham School of Law in Birmingham, Alabama, in 1961. After law school in 1963, he went on to serve as city prosecutor (1963–1971). During this period he worked as a U.S. Magistrate for the Northern District of Alabama (1966–1970) and Special Assistant Attorney General of Alabama (1969–1971). He won a seat in the Alabama Senate in 1970. In 1978, he was elected from the 7th District to the United States House of Representatives, where he was among a group of Conservative Democrats known as the boll weevils. In 1986, Shelby won a tight race as a Democrat for the U.S. Senate. 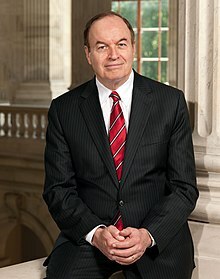 In 1994, the day after the Republican Revolution in which the GOP gained the majority in Congress midway through President Bill Clinton‘s first term, Shelby switched party affiliations and became a Republican. Shelby was re-elected by a large margin in 1998 and has faced no significant electoral opposition since. He is currently the dean of the Alabama delegation.